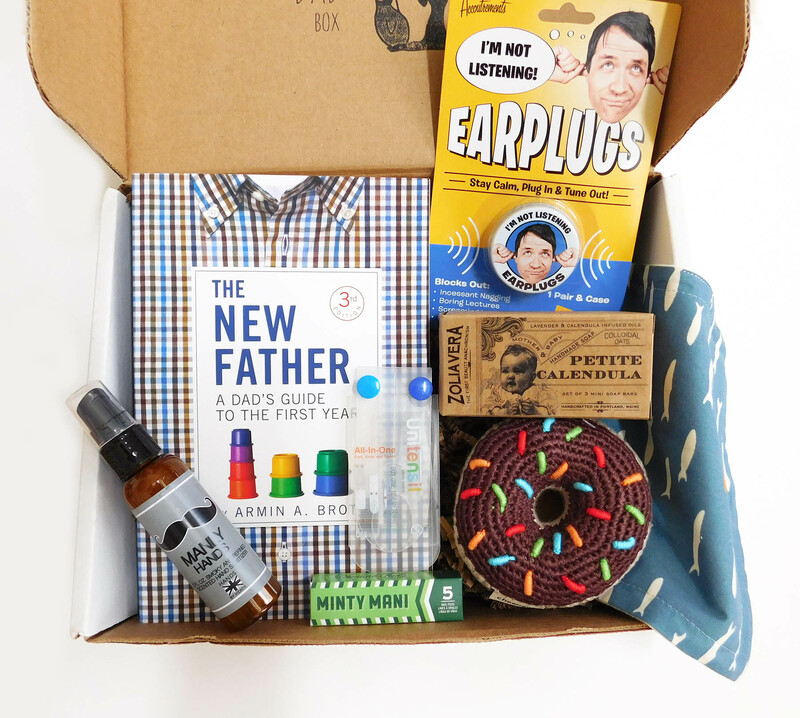 Almost everything you need to survive the first two weeks of fatherhood - plus a little something for later! Our regular Newborn Starter Kit includes: - The New Father, by Armin Brott (#1 bestselling Fatherhood book on Amazon) - Manly Hands hand sanitizer by Hands by Heath - for those diaper changes! - Two pairs of earplugs (for Mom and Dad)! - A Unitensil foldable fork/spoon/knife set by Theo Stewart-Stand. Great for dads on the go! - Petite Calendula baby soap from Zolia Vera - Organic washcloth from Bugsella - you can never have too many washcloths, especially when you're giving lots of sponge baths in the beginning! - Minty Mani nail files from Fred and Friends. For the first month of your baby's life, you won't be able to use a nail clipper to clip their nails. That's where these nail files (in the shape of gum sticks) come in handy! - Crocheted donut rattle from Cheengoo. Rattles are one of the first toys babies respond to, and we've picked a cool donut one for yours!